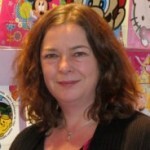 Claire Shaw has joined greetings specialist Gemma International as Licensing Manager. She will report to Tim Rudd-Clarke, CEO. Claire will help develop and grow Gemma’s business while managing its portfolio of licences which includes the likes of Peppa Pig, Moshi Monsters and Hello Kitty. Shaw arrives from Classic Media where she worked for seven years, most recently as VP Consumer Products. Prior to that she worked at Granada Ventures and Disney.